Continuing with Part 1, add an email_address attribute to the Vendor. Update the views to reflect adding email_address. Reload browser to test that the views have been updated. 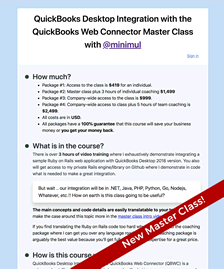 Create a new vendor on Rails and QuickBooks Online. Create a before_action filter within app/controllers/vendors_controller.rb to activate the vendor service. Alter the create action within the vendors_controller. For a “real app” you should have the quickbooks-ruby code always handy to guide you in mapping your vendors (or customers, employees, etc.). 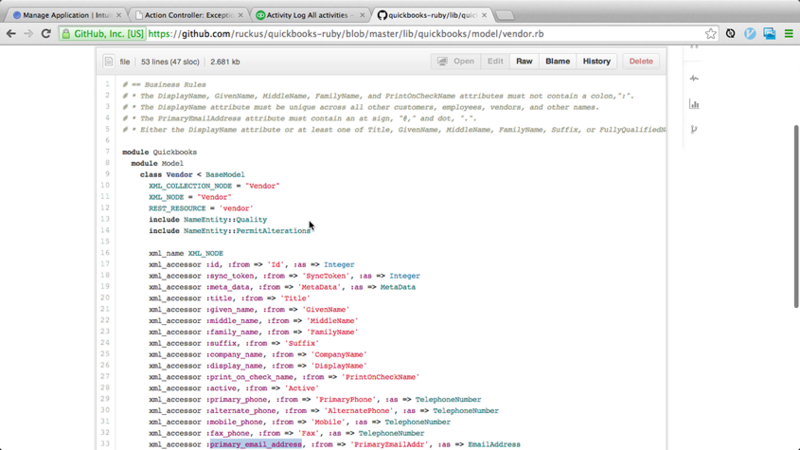 In this example, use the quickbooks-ruby vendor model code as a reference. To see all available Vendor attribute mappings, reference the gem code itself. Also be aware that many models have mixed-in methods, so check for include keywords. For example, the vendor model draws methods from the NameEntity module. Reload browser and then click New vendor link. 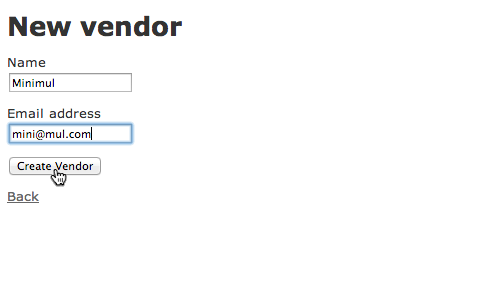 Fill in form and click 'Create Vendor'. 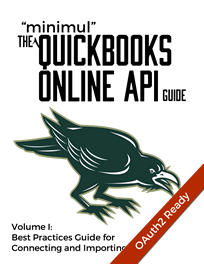 Go over to your QuickBooks Online account and check if the vendor was composed. Goto 'Company' tab, then to 'Activity Log' submenu. Next, click on the vendor's name within the activity tab to get more details. 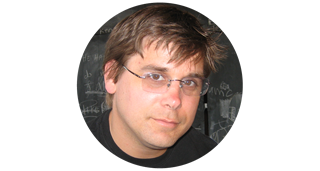 In Part 3 I demonstrate updating an entity at QBO. 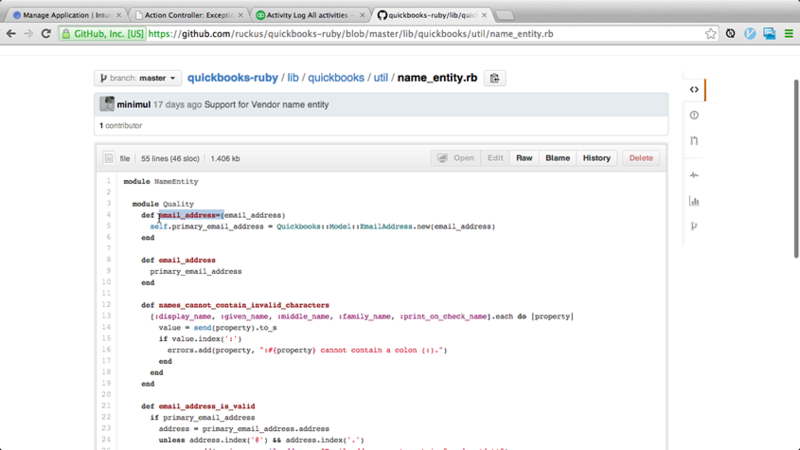 I also exhibit basic debugging using the logging feature of quickbooks-ruby.